Hello there, it’s been a long time. But we’re back, sort of. 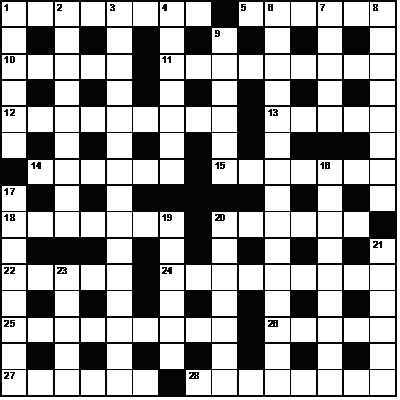 Thanks to Shuchi’s nudges and a bunch of (undeserving) birthday wishes to a crossword setter, I decided to confront the grid skeletons in my closet after a year and a half. Do solve and leave your comments. Will post the rest later. Duty calls.